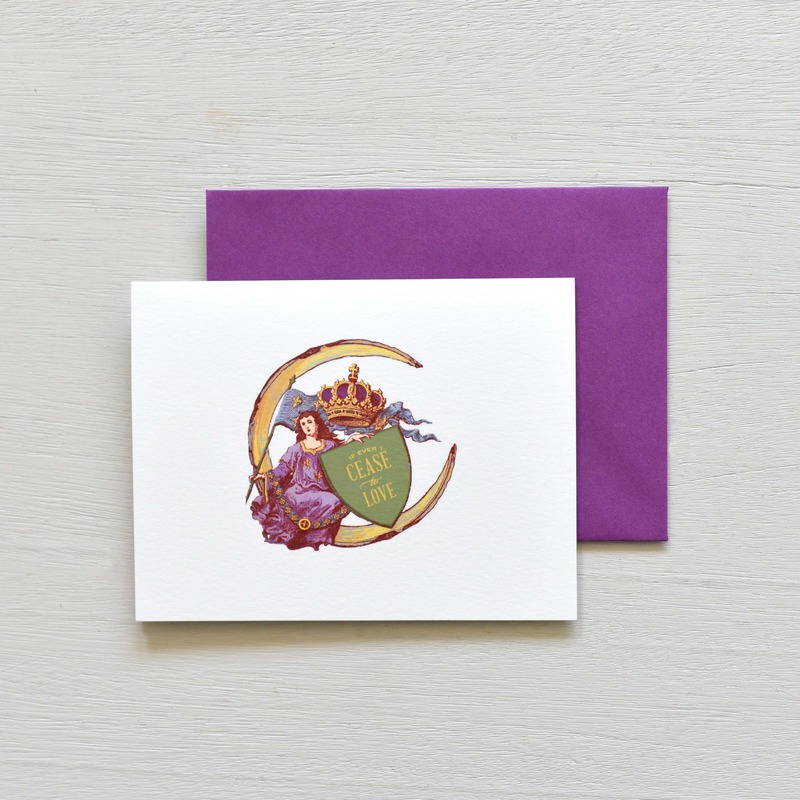 The personification of the City of New Orleans sits atop a crescent moon. “If Ever I Cease to Love” is the official song of Mardi Gras. Package of 8 folded notes and matching envelopes.